This illustration distinctly shows the importance of using a fume extraction system, even when soldering only once in a while or for just a few hours a day. The captured particles are primarily condensed residues from flux. Without a filter system these particles ill be partly inhaled the operator with the remainder spread over the work object and workplace. 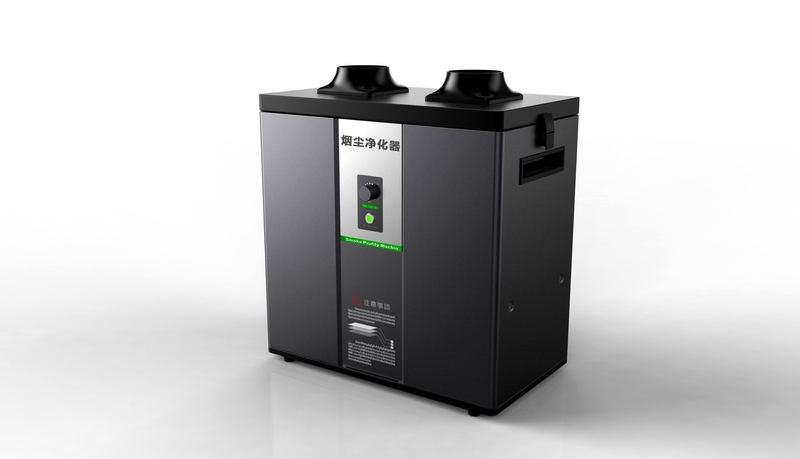 In contrast, a proper filter system will eliminate not only the particles, but will also catch and eliminate dangerous gases created in the soldering process.